Star Bulk Carriers, a global dry bulk shipping company, has booked a net loss of US$39.4 million in 3Q16 on total revenues of US$59.9 million. This compares with a net loss of US$7.0 million in 3Q15 on revenues of US$68.8 million. The company blamed the fall in revenues on the “lower charter hire rates prevailing in the dry bulk market during the third quarter of 2016, compared to the third quarter of 2015.” Time charter equivalent (TCE) dropped from US$8691 in 3Q15 to US$7558 in 3Q16. For the year to September, TCE dropped to just US$6356 in 2016 from US$8126 in 2015. Despite these headwinds, adjusted EBITDA was substantially higher in 3Q16 than the previous year at US$11.9 million compared to US$6.1 million the year before. This 94% increase came on the back of the company’s cost and process optimization initiatives, said Petros Pappas, Star Bulk’s CEO, as well as lower bunker prices. For 3Q16, voyage expenses were US$16.2 million compared to US$21.7 million the previous year on the back lower bunkering. Vessel operating costs were also reduced from US$19.4 million in 2015 to US$24.2 million on the back of “management’s continued focus on cost efficiencies, the addition to our fleet of newly built vessels with lower maintenance requirements and synergies and economies of scale from operating a large fleet,” the company said. As a result, average daily operating expenses per vessel fell 15.6% to US$3784 from US$4484 the year before. 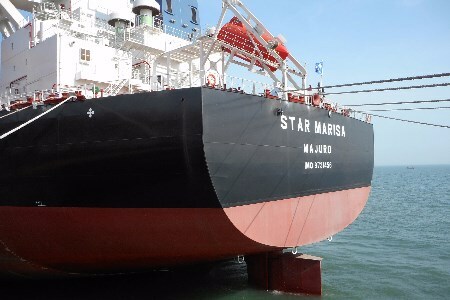 Star Bulk owns 68 dry bulk vessels across a range of sizes that span the dry bulk carrier spectrum, including newcastlemax, capsize, post-panamax, kamsarmax, panamax, ultramax and supramax. It is also due to take delivery of a further five newcastlemax vessels between 2017 and 2018.